How do I choose which remodeler to work with? If you're starting the process of choosing a remodeler, you know you have to do your due dilligence. But where do you begin? Do you hire an architect or a design-build firm? What kind of contract is best? This guide walks you through the steps of asking the right questions, checking references, and keeping your information organized. 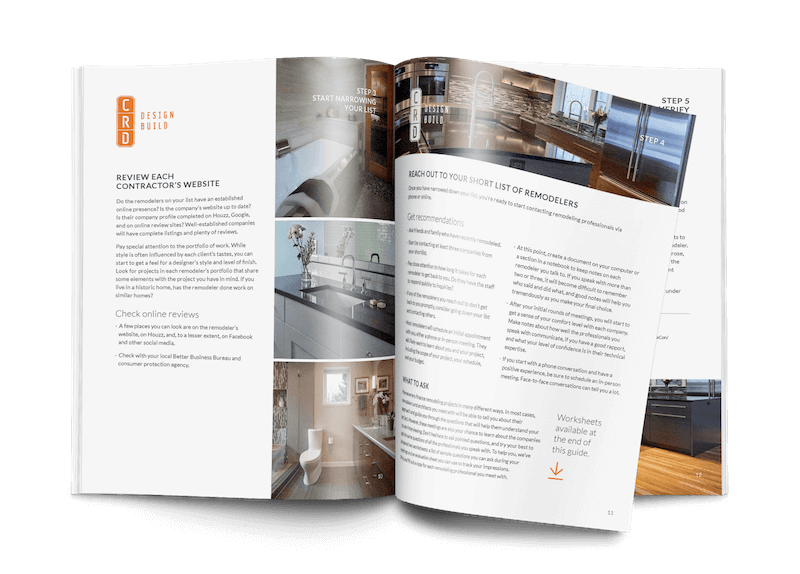 Searching for the right remodeler takes work, but by following this guide and using the worksheets, you can be confident in your choice and avoid problems down the road.